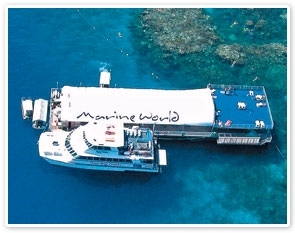 Locally owned and operated, Reef Magic cruises to the "Marine World" pontoon at Moore Reef. The water is warm and clear, the coral is stunning in its variety and colour, and tiny Angel Fish to schools of Coral Trout will keep you gasping in underwater surprise. This tour picks up from Cairns & Northern Beaches accommodations. Not Port Douglas accommodations. Spectacular coral formations, colourful tropical fish, clams ... maybe meet a sea turtle!